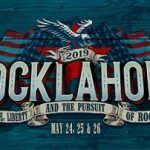 Rocklahoma is set to take place the final weekend of May in Pryor, Oklahoma, just outside Tulsa. Now in its 13th year, the festival announced the headliners include: OZZY OSBOURNE, DISTURBED, & SHINEDOWN. Weekend general admission tickets are $129 and go on sale 1/17.